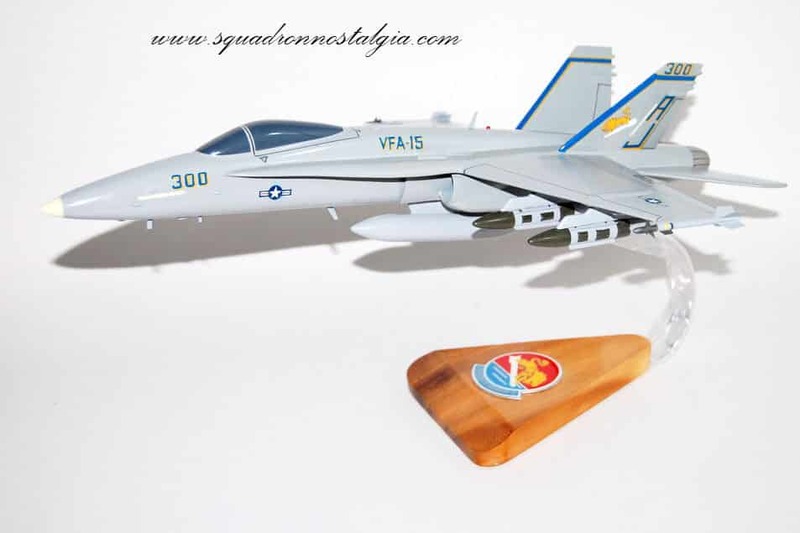 Fly with the VFA-15 Valions again in this wooden F/A-18 model. Each piece is carved from wood and hand painted to provide a unique piece that you love. 18 inches. 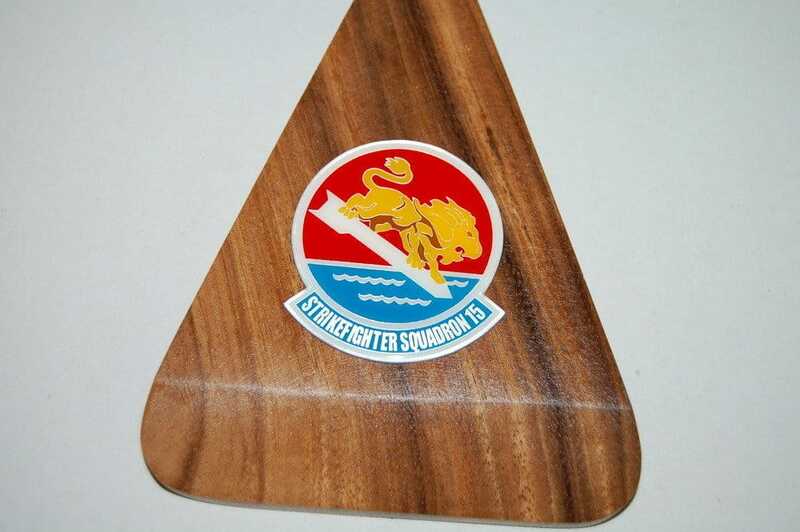 Strike Fighter Squadron Fifteen was originally established as Torpedo Squadron Four (VT-4) on Jan.10, 1942, just one month after the attack on Pearl Harbor. In the 68 years since that time, the Valions have had four different designations and flown six different aircraft. Valion pilots and crew have operated from the decks of fifteen different aircraft carriers and made 35 major deployments to all reaches of the globe. 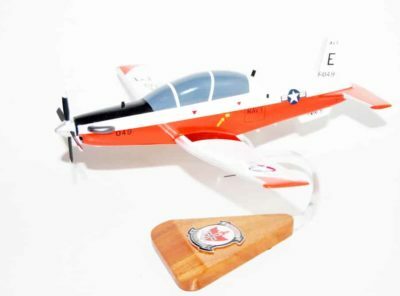 Regardless of squadron designator, platform or location the Valions have always upheld the highest standards of Naval Aviation. 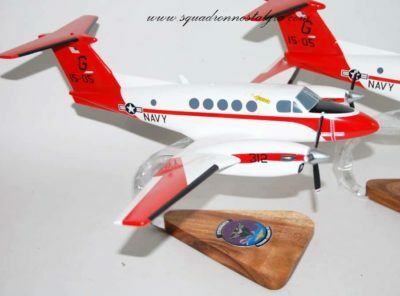 They are ten-time winners of the COMNAVAIRLANT “E” for Battle Efficiency: 1953, 1961, 1962, 1978, 1980, 1983, 1988, 1991, 1999 and 2001; and the Estocin Award winner in 1999, given to the finest strike fighter squadron in the Navy.Torpedo Squadron Four (VT-4) was established Jan. 10, 1942 aboard the USS Ranger (CV-4) at Grassy Bay, Bermuda. 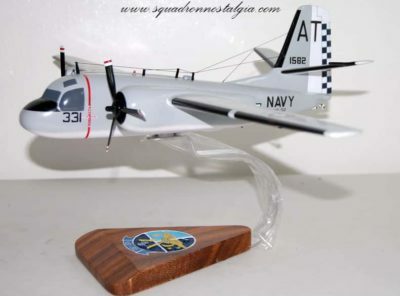 VT-4 began flying the TBD Devastator and later the TBM Avenger out of their homeport of NAS Quonset Point, RI, protecting the sea-lanes between Bermuda and Newfoundland. They were aboard the USS Ranger in August 1943 when it escorted British Prime Minister Winston Churchill and HMS Queen Mary to the Quebec Conference, where the Allies discussed plans for the invasions of Italy and France. In the closing months of World War II, VT-4 moved to San Diego, Calif. and was re-designated VA-2A. 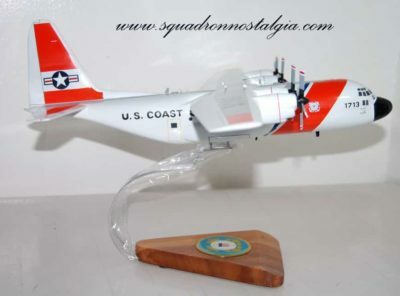 In 1948, the squadron’s designation was changed to Attack Squadron Fifteen (VA-15) under a new designation system established by the Navy Department. 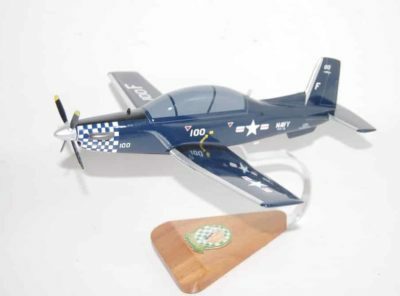 One year later, in March 1949, VA-15 moved to NAS Cecil Field, Fla., and transitioned to the AD-4 Skyraider.VA-15 transitioned to the A-4 Skyhawk in 1965. One year later, in April 1966, VA-15 left for Southeast Asia on-board the USS Intrepid (CV 11). While on station in the Gulf of Tonkin the Valions flew 2,627 sorties and over 4,777 hours in support of operations over North Vietnam. VA-15 was decommissioned June 1, 1969 and returned the next day when the Valions merged with Attack Squadron 67. 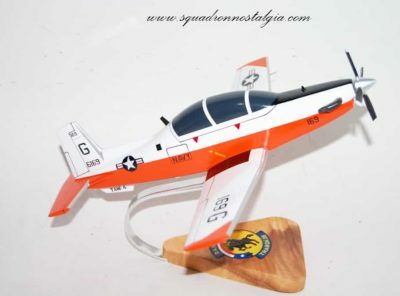 The combined unit was re-designated Attack Squadron 15, flying the A-7E Corsair II. 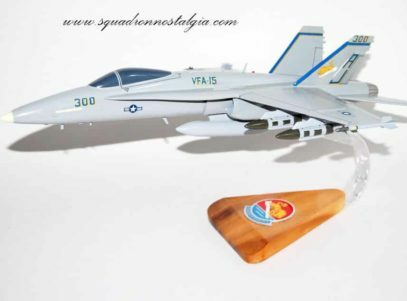 The Valions were on station in the Arabian Gulf aboard the USS Independence (CV-62) in November 1980 when the American embassy hostages were released from Iran.VA-15 transitioned to the F/A-18 Hornet in late 1986, and were re-designated Strike Fighter Squadron Fifteen (VFA-15). 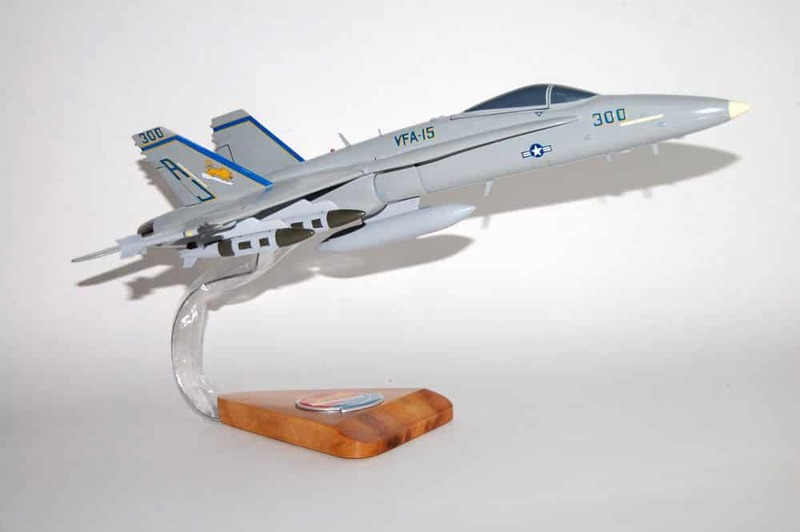 The Valions accepted their first F/A-18 Hornet in January 1987 and joined Carrier Air Wing Eight (CVW-8). In the early morning of Jan. 19, 1991, VFA-15 flew some of the first sorties in support of Operation Desert Storm. The Valions flew strike missions over the skies of Iraq from the first night until the suspension of hostilities on Feb. 28, 1991. 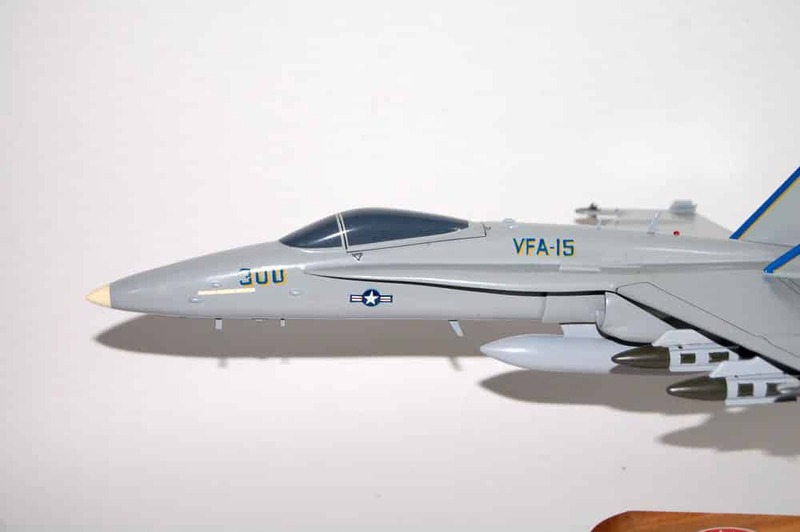 One year later, VFA-15 transitioned to the F/A-18C Night Attack Hornet and began to develop innovative tactics employing the new Night Vision Goggle (NVG) compatible cockpit and targeting pod.The Valions continued their success in combat in the spring of 1999 from the flight deck of the USS Theodore Roosevelt (CVN-71), where VFA-15 flew over 300 combat sorties in support Operation Allied Force. 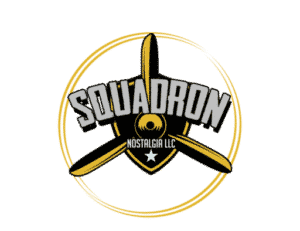 The cruise continued in the Northern Arabian Gulf (NAG) in support of Operation Southern Watch, and upon their return, the Valions relocated to NAS Oceana. Two years later, the Valions were once again in the NAG patrolling the skies of southern Iraq, this time on-board the USS Enterprise (CVN-65). On several occasions Valion pilots answered the call to put bombs on target. As the carrier steamed home, the crew of the Enterprise watched as terrorists attacked America on Sept 11, 2001. The Valions and the Carrier Air Wing Eight/Enterprise team immediately turned around and took up residence in the Northern Indian Ocean. On Oct. 7, 2001, VFA-15 was once again at the tip of the spear, flying missions into Afghanistan in support of Operation Enduring Freedom (OEF). In just four weeks, VFA-15 flew 185 sorties and 795 hours, releasing 232,000 pounds of Laser-Guided Bombs (LGB), Joint Direct Attack Munitions (JDAM) and Maverick Air-to-Ground Missiles.In 2002, once again our Nation called and VFA-15 stood at the ready. After a compressed training cycle, VFA-15 and CVW-8 departed on-board the USS Theodore Roosevelt (CVN 71) to the Mediterranean. From March 19, 2003 to April 15, 2003, VFA-15 delivered over 245,000 pounds of ordnance against Iraqi military facilities, air defense sites and terrorist camps in support of Operation Iraqi Freedom (OIF). In September 2005, the Valions, along with the rest of the Battle Group (CSG-2), headed east across the Atlantic Ocean. In early October, CSG-2 took up residence in the NAG and immediately began flight operations in support of Multi-National Forces (MNF) in Iraq. Over the ensuing four months the Valions provided critical support to the MNF from Basra to Mosul, and Al Qaim to Baghdad. 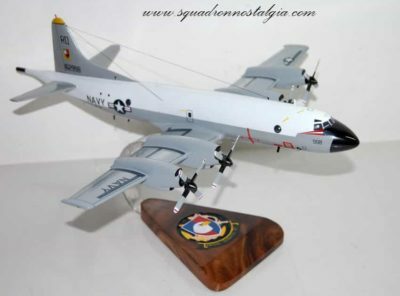 The Valions lead CAG-8 with over 1500 sorties and 5,000 flight hours. In early 2006, the TR left the NAG, transited the Straits of Hormuz, searched for pirates off the Horn of Africa and finally transited the Suez bringing VFA-15 and CVW-8 back to NAS Oceana.VFA-15’s next deployment began on 8 September 2008 aboard CVN 71 supporting Operation ENDURING FREEDOM in Afghanistan. During this deployment, VFA-15 flew 584 combat sorties against Taliban insurgents. Due to superior maintenance efforts and dedication from all personnel involved, VFA-15 supported three detachments while simultaneously dominating with a 100% combat sortie completion rate, flying 4,700 mishap-free flight hours. The VALIONS returned to Virginia Beach on 18 April 2009.Most recently, the Valions deployed aboard the USS George H. W. Bush (CVN 77) from May to December 2011. Ever dominant, VFA-15 maintained a 100% combat sortie completion rate while flying 430 missions in support of Operations ENDURING FREEDOM and NEW DAWN. Year after year, Strike Fighter Squadron Fifteen has answered its Country’s call and proven through quiet excellence that it is the finest squadron in Naval Aviation. NONE FINER.